So we are now a few days into the Closed Beta of SNOW. This is a huge milestone for the game but also for Poppermost, the team behind the game. We’ve been working like crazy since September to make sure this update has a huge amount of new features. The most important, or at least complicated feature that we've added to the game in this update is the ability to purchase items in the game – what allows SNOW to be free-to-play. With the addition of this feature we have also seen some criticism towards the direction the game is heading. Several people are worried that the free-to-play aspects of the game will damage the freedom and personal expression that the game has offered since we released on Steam. Rest assured, our vision has not changed as we continue building this genre defining experience. Hopefully this outline of our free-to-play vision will help soothe those that are worried the game is taking a turn for the worse. We see SNOW becoming an online service with an à la carte experience, where players can explore environments for free and only spend money on aspects of the game that interest them, or earn items by playing the game and being an active user. We are adamantly against any pay-to-win gameplay elements as we believe that individual player skill should be rewarded. Based on this concept, we have fleshed out the following pillars that help us create the perfect winter sports game and offer reasonable ways to spend money in-game (of course, if you aren't interested in spending money skip below to read about our XP and leveling system). 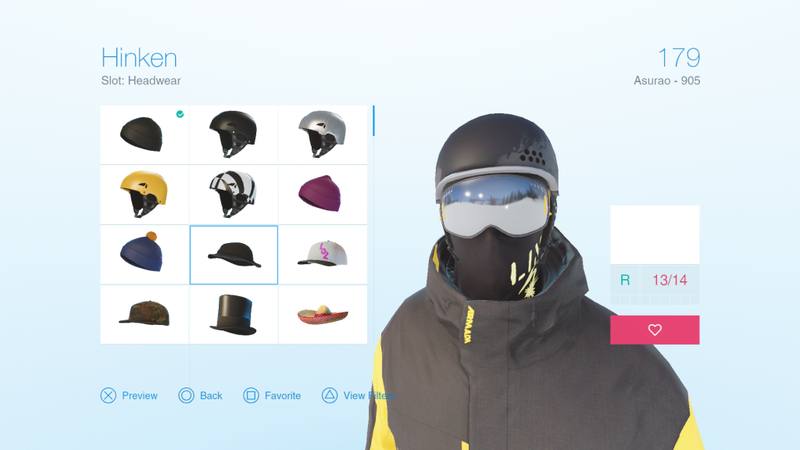 Customization: Offer the largest and most detailed catalog of clothing and equipment from the biggest brands in winter sports. Update the catalog every season to stay up to date with the latest styles. Players can purchase single items, item packs or even rent the entire store for periods of time. Competition: Players can purchase fictional and real-life events to create a continuous competitive environment for players who want to be the best. Reward winners with items from the store. We are also planning a "featured" events system that will offer several different events for free every week. Creation: Allow players to place jumps and props on the mountain anywhere they want to create a unique sandbox experience. Jumps and props are sold in different types of packs and bundles. To give players a taste of all these aspects we are creating a user journey that rewards players with items from these different pillars. Whether you are playing alone or together with friends, competitive modes or simply free roaming, we want to reward you for your loyalty, time in-game and creativity. Some of this will be included in the next update (0.5.1) while some elements are still being fleshed out - but this is what we’re planning. Level & XP: Everything you do in SNOW will be rewarded with XP. Skillful riding, tricks and completing events and challenges will reward you with points that are converted into XP. XP is then converted into levels. When you reach certain levels you will be rewarded with credit packs or items from the store. Brand Reputation: You will have reputation levels with each brand in the game. Based on the clothing and equipment you are wearing you will earn reputation points with brands and unlock rare items from them as you level up your reputation. Competitions: Inside and out of the game (on our website) we will host competitions that have both digital and physical rewards. We’re talking to our partners right now to line up some really special rewards for our most talented and creative users. Hopefully this overview of our monetization and player journey plans shed a bit of light into how the game will work once we’ve got the rest of the core functionality in place. We understand that the Closed Beta was released with many of these features missing, so it might have been confusing as to what was still in the pipeline. We hope to have many of these features implemented in the next few updates (0.5.1 and 0.5.2). Until then, we’d love to hear your feedback here. Finally, we'd just like to reiterate that we are still in Early Access and the game is still in an experimental phase. We love hearing all types of feedback (both praise and criticism) and want to continue working with the community to make this game the best it can be. It has been incredibly rewarding seeing players make their first in-game purchases, customizing their character and proving that free-to-play can work. Now we just need to iterate and keep refining all the features until we perfect it. Great ! And what about the PS4 system ? That just sounds like all the features of the game I already laid money down for just became walled off for a second purchase. 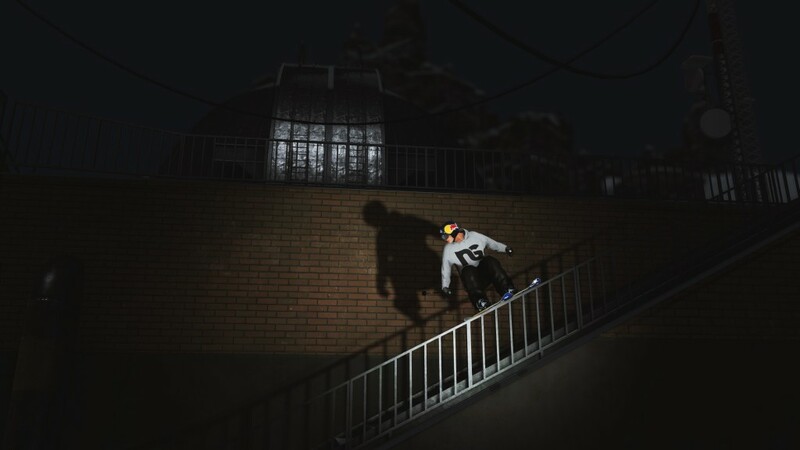 I am really enjoying the game but some things aren't very realistic like ollies, the character just get too much height so when you ollie you still fly for 3/4 seconds... And also tricks, they should be more fast and the backflip rotation should be more realistic... I know that it's hard for you guys to fix this stuff but if you reach this points the game will be really really awesome! And I'm waiting for snowboard!!!! Hold shift when you spin, it spins you really fast, able to do 1980s and above with enough air. It isnt the in game purchases i am disappointed about, its how since the update the game is super buggy. The new physics now make things that used to be simple and fun very hard and frustrating. An example of this would be how hard it is to fine tune your direction when you turn. Also the way you pop on to features is very wrong feeling. Before you update this game again remember to not fix things that aren't broken. when is the game going to be f2p? Once it's out of closed Beta, I don't believe there's a set date for it yet though.